Pulitzer Prize-winning poet Natasha Trethewey presents “The Muse of History: On Poetry and Social Justice” Tuesday, Nov. 1 at 11:10 a.m. in the Lawrence Memorial Chapel in the second installment of Lawrence University’s 2016-17 convocation series. Trethewey will conduct a question-and-answer session immediately following her address. The event is free and open to the public. A native of Mississippi and the daughter of a mixed-race marriage, Trethewey combines the personal and the historical in her work. The author of four collections of poetry, her writing frequently addresses societal issues regarding class, race and war. Following the release of her first collection, 2000’s “Domestic Work,” Trethewey received the Cave Canem Poetry Prize, which recognizes the best first book by an African American poet. “Domestic Work” also was honored with the 2001 Mississippi Institute of Arts and Letters Book Prize and the 2001 Lillian Smith Award for Poetry. Her third book of poems, “Native Guard,” was awarded the 2007 Pulitzer Prize. 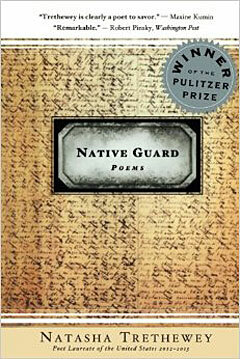 “Native Guard” has been a part of Lawrence’s Freshman Studies reading list the past two years. More recently she has released “Beyond Katrina: A Meditation on the Mississippi Gulf Coast,” a non-fiction personal profile of some of the people whose lives were forever changed by the hurricane. “Thrall,” her fourth book of poetry published in 2012, explores historical representations of mixed-race families. Trethewey will read from “Thrall” as part of her address. 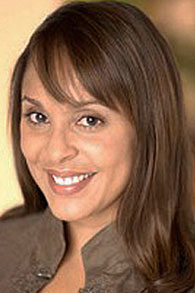 In 2012, Trethewey was named the 19th Poet Laureate of the United States by the Library of Congress, one of numerous honors she has received for her work. She also has been awarded fellowships from the Academy of American Poets, the National Endowment for the Arts, the Guggenheim Foundation and the Rockefeller Foundation. Trethewey is a member of the faculty at Atlanta’s Emory University where she is the Robert W. Woodruff Professor of English and Creative Writing.